modified waldorf salad, originally uploaded by aarn! +11th August, 2008+. 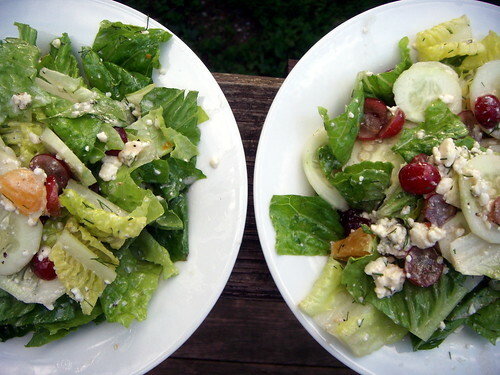 romaine heart salad with halved grapes, crumbled gorgonzola, peeled orange slices, and garden cucumber. dressing was a vinaigrette of fresh squeezed orange juice, red wine vinegar, canola oil, fresh dill, salt, and fresh ground pepper.